Why choose Palmetto Mosquito Control? In 2003, brothers Bert and Lance Snyder decided to use their pest control expertise to wage war on mosquitoes and gnats. 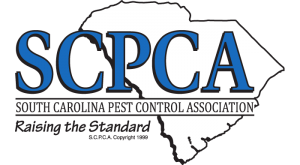 The result was the formation of Palmetto Mosquito Control, LLC and a partnership with the brothers’ existing pest control company, Palmetto Exterminators, Inc.
Palmetto Exterminators, Inc. was established in 1960 in Walterboro, South Carolina. In 1976, the company was purchased by Albert and Lillian Snyder, and has been in the Snyder family since that time. Albert “Bud” Snyder is a graduate of Penn State with degrees in Education and Entomology and has devoted his entire career to the pest control industry. From 1952 until 1965, Bud worked for Truly Nolen Pest Control and Orkin. Then from 1965 until 1975, Bud was the Training Director for Terminix. In 1976, wanting to put his years of service and knowledge to work, Bud Snyder purchased Palmetto Exterminators.